This is a guide to what’s on over the coming week. If you don’t see your favourite sport listed just let us.. 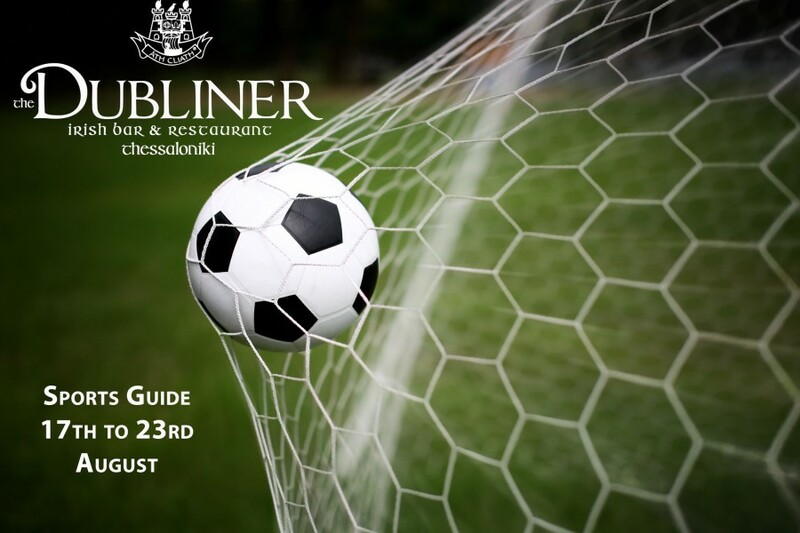 Your weekly Sports Guide for all the Live Games in your friendly Irish Pub / Bar in Ladadika. There are a lot of Euro 2016 Qualifiers.. 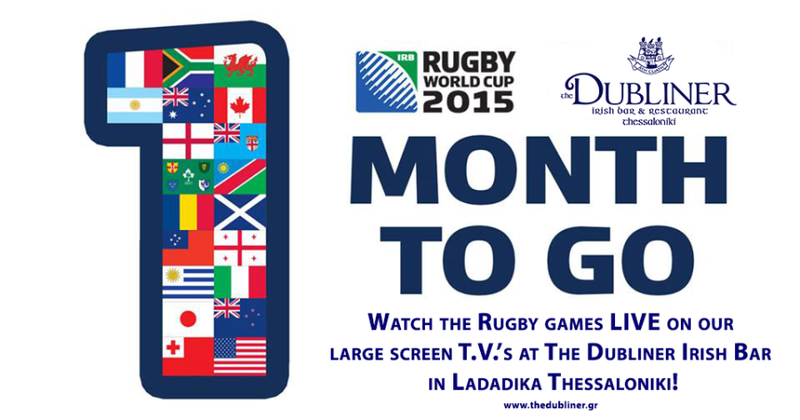 Sport 24th to 30th August…..
Then just ask anyone from The Dubliner team and we will try to find it for..
Well Rugby fans, its only 1 month to go until the start of the Rugby World Cup!!!! 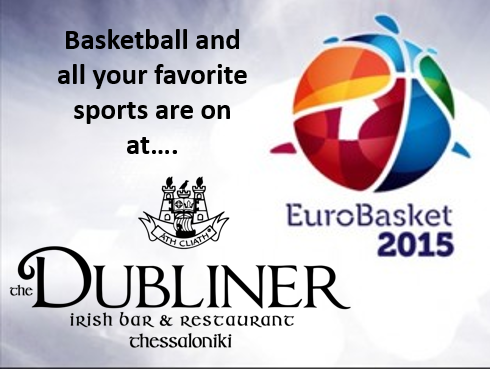 You can catch all the games live here in The Dubliner..
Want to watch some sport that is not listed below? Just contact any of The Dubliner team and we will try to help.. 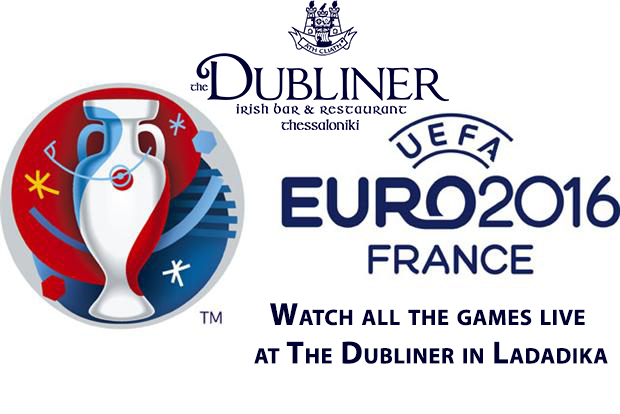 Date Day Type League Playing Time 10 August 2015 Monday Soccer Premier West Brom v Man..
As always The Dubliner is your best location for all the top international and Greek sporting events, air-conditioned and live on our..
As the summer heats up so does the sporting calendar as the start of the new football season draws closer with the advance in the.. Sport in the Summer! Glorious sunshine and the perfect reason to take a break from the heat and have something to eat or a pint while..